Summer Creek Dentistry is conveniently located in Fort Worth just south of Interstate 20 at the intersection of Summer Creek Drive and Columbus Trail. We are easy to access from the majority of surrounding communities including Crowley, Burleson, Mansfield, Arlington, and Joshua. We welcome patients from across the DFW metroplex to visit our skilled dentist and knowledgeable team members for all of their dentistry needs. We know how busy our patients are, and we believe your dental care should fit into your schedule. That’s why our office provides a range of appointment times to fit into any schedule. We’re open on Mondays from 9 am until 6 pm, Tuesday through Thursday from 8 am to 5 pm, and Friday from 7 am to 2 pm. We are also happy to offer emergency dentistry services for patients outside of these office hours when necessary. In most cases, we’re able to provide same day emergency dental care for patients in need of urgent treatment. In order to ensure patients of all ages can receive the dental care they need in one location, we offer comprehensive dentistry services. 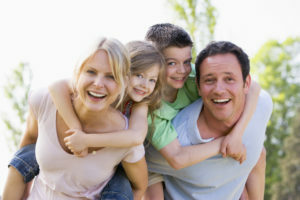 Our team welcomes families and we provide numerous treatment options to keep patients smiling. Our practice has a focus on prevention. That means we are dedicated to partnering with patients to keep their smiles healthy. In addition to offering preventive care, the Summer Creek Dentistry team also provides more complex restorative and cosmetic dental services to repair damage and correct smile flaws. At Summer Creek Dentistry, we’re dedicated to keeping our dental patients smiling. If our office sounds like the right place for you and your loved ones to receive the necessary dentistry services, please call our team to schedule an appointment today. We’ll be happy to answer your questions, and partner with you to create a personalized dental care plan. We hope to hear from you soon and look forward to providing for all of your oral health care needs.